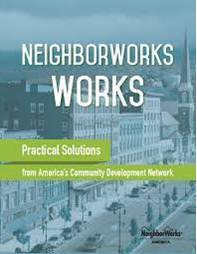 Rural Neighborhoods is honored to be a co-author in the book NeighborWorks Works: Practical Solutions from America’s Community Development Network. The recently released publication consists of case studies of the best work being done in community development as well as innovative solutions in affordable housing. Our excerpt “Nonprofit Takeovers: Tools for Tough Times” describes our ground-breaking partnerships in creating and preserving affordable housing in Immokalee. Our experience, the strength of the NeighborWorks network and its peer to peer resources allow us to build an elite solution-based platform to overcome the toughest of challenges to improve lives and strengthen communities.